the garden-roof coop: Coop/Run Pics.. 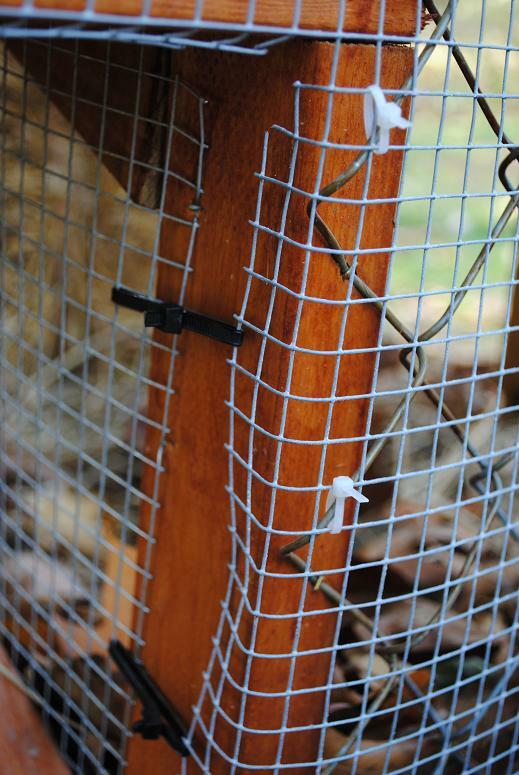 Here's some photos and the answer to the question--"How did we attach the coop to the chain link." 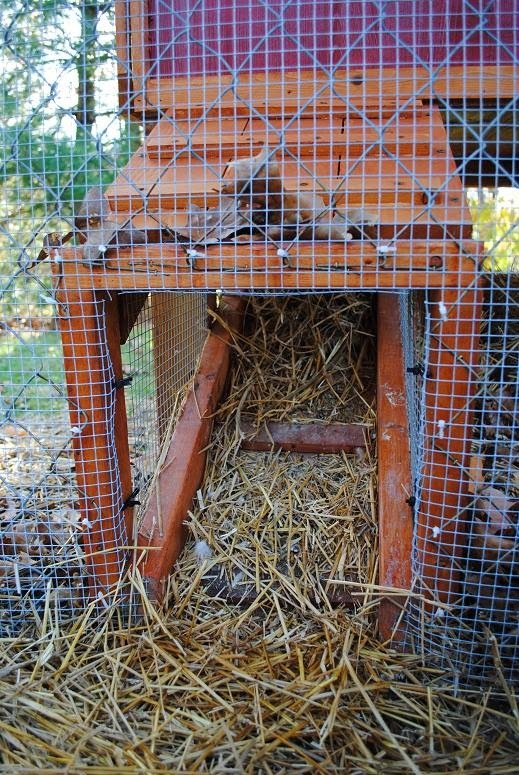 My husband attached the coop's tunnel to the pen with a staple air gun, he said it's important to have the tunnel in placed and stapled to the chain link before cutting the wire. We then secured the hardware cloth to the pen with zip-ties--making sure there were no openings large enough for any type of predator.